Want to cut taxes, decrease the deficit, reduce regulations and improve the environment? A carbon tax would accomplish all that, but it has surprisingly few supporters. In fact, policy makers are running the other way. Economists have long argued that a carbon tax is the simplest, most effective way to reduce greenhouse gas emissions that contribute to climate change. 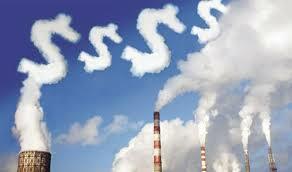 It is a broad, market-based tax that would force carbon emitters to cover costs now borne by the rest of us. Polluters would be encouraged to clean up their act without the necessity of new EPA regulations. The opposition counters that such a tax would raise energy costs and hurt the fossil fuel industry. It would undoubtedly be opposed by lobbyists from the fossil fuel, auto and power utilities who are big contributors to political campaigns. Many citizens have become spoiled by energy prices that don’t adequately reflect the cost of removing and replacing the energy consumed or the cost of repairing environmental damage incurred in the extraction process. While they are also likely to decry higher prices, it’s time to face reality! This entry was posted in Blogs On Current Affairs & Events, Economics, Environment, Political and tagged Bob Inglis, carbon emissions, climate change, Congress, global warming, pollution, taxes. Bookmark the permalink. Geoff Thomas on How taxing is it? David Schwerin on How taxing is it? Geoffrey Thomas on How taxing is it?